Price Reduced, bank needs an offer! Beautiful 3 side brick home in the desirable Timberlake Subdivision. Home has 4 Bedrooms and 3.5 Baths with stubbed area in the unfinished basement. Home has Master on the Main, new paint throughout and a new deck to enjoy your fairly level large yard. Bedrooms upstairs features a Jack & Jill bathroom while another has a private bath. Plenty of storage areas, plantation shutters, hardwoods in foyer, tile and new carpet throughout. 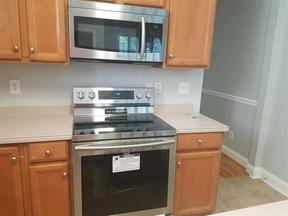 New stainless steel appliances (Fridge, Stove, Microwave and Dishwasher) included. Community has a pool, clubhouse and a private lake.